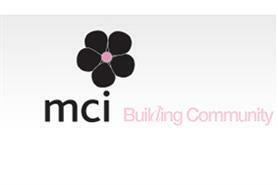 MCI has opened premises in Vancouver and Toronto, its first North American operational offices. The Canadian offices will provide congress management services, event and meeting planning and destination management services to corporates and association clients. Their launch means that MCI now has 47 offices in 23 countries. The operations will be headed up by Toronto-based Ann Corbitt, who was managing director of MCI affiliate, PCI Conferences & Events, which now becomes MCI Toronto. Meanwhile, MCI Vancouver has been formed from congress management firm Advance Group and event planning and destination management company Destination Planners. Its destination management arm will operate as Ovation Canada. Robin Lokerman, MCI’s institutional division chief executive, said: "We are very excited to bring together the foremost companies in the region, with excellent client relations and operational track records, to help us deliver the unique MCI value proposition to clients in Canada. "This is our first step into North America, making us a truly global company. We look forward to continued expansion here."